If you have solar panels and either a 12v, 24v, 36v or 48v battery stack then this is the solar controller you need. It autodetects either 12v, 24v, 36v or 48v and will charge batteries at up to 80A and is backed by a 1 year RTB Warranty. Suitable for Lead Acid, GEL and Lithium Battery types. 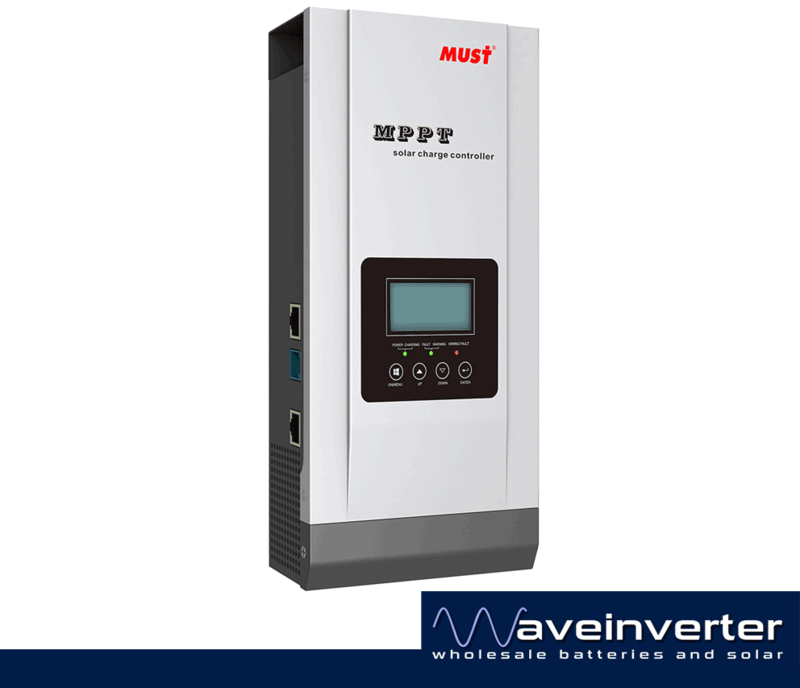 PC1800-80 from MustPower it uses the latest Continuous Maximum Power Point Tracking (MPPT) technology, which seeks out the maximum power available from a solar array. Voltage stepdown converter to be able to convert high PV voltages down to lower battery voltages of 12, 24, 36 and 48 volts. Connect up to 1200 watts(@12V) / 2400 watts(@24V) / 4800 watts(@48V) to your batteries. Most of the settings such as battery type charging voltages are adjustable on the unit.